There is never enough inspiration for laid-back, casual looks and this is one we can all appreciate for those lucky weekend days off. 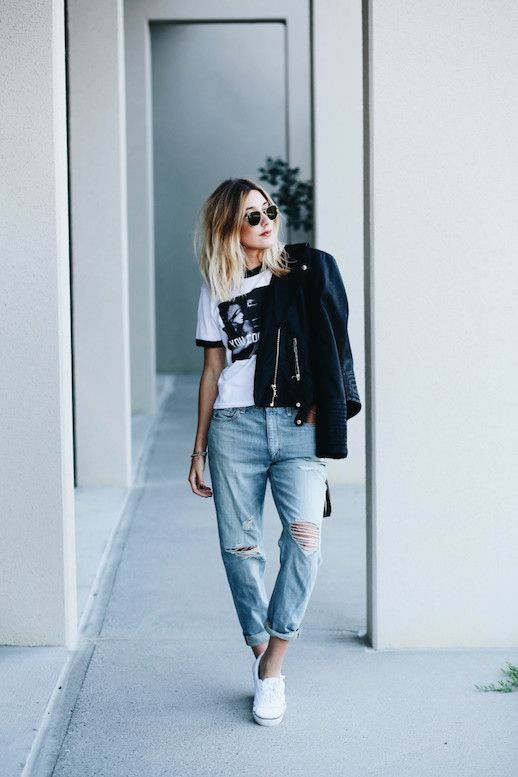 This blogger wore her motorcycle jacket with a graphic tee, distressed boyfriend jeans, and white sneakers. 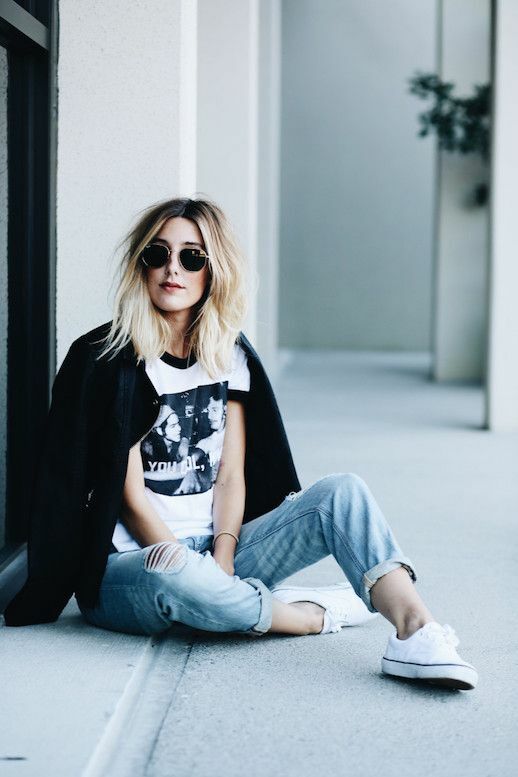 Totally easy and totally cute.